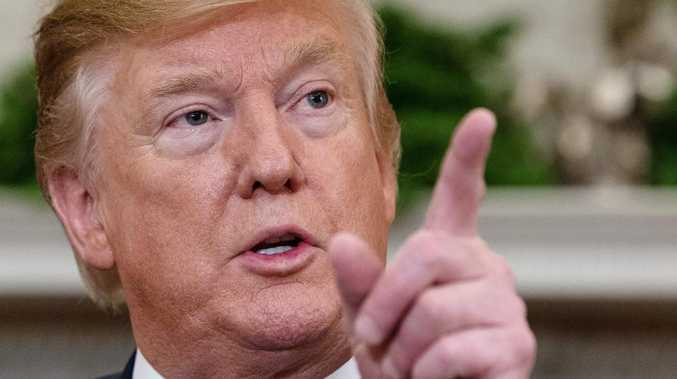 US President Donald Trump is giving "strong considerations" to the idea of releasing undocumented migrants into cities run by opposition Democrats who have instituted immigrant-friendly policies. There are some 11 million estimated undocumented migrants in the US. The Washington Post reported the idea, as initially floated, was to release immigrants already in detention into so-called sanctuary cities. Sanctuary cities are local jurisdictions that refrain from co-operating with federal immigration authorities to detain undocumented immigrants for possible deportation. Those localities argue that it is not their responsibility to help enforce federal immigration laws and that doing so could hinder policing efforts within communities. "Due to the fact that Democrats are unwilling to change our very dangerous immigration laws, we are indeed, as reported, giving strong considerations to placing Illegal Immigrants in Sanctuary Cities only," Mr Trump wrote on Twitter. The threat is the latest salvo from the president on immigration, as he seeks to tighten borders and crack down on new arrivals, part of a policy that includes building a wall on the southern border. Last month, he warned Mexico that he was imminently planning to shut the shared border, but later backed away from the idea. It is unclear whether the president could legally or logistically carry out the plan. The sanctuary cities do not adhere to federal regulations on immigration.